Christian Eriksen scored twice in a victory over Wales in the Nations League on Sunday as Denmark's first-team players returned after boycotting a midweek friendly. Denmark are set to field a team of amateurs and futsal players against Wales after a sponsorship dispute that has rocked Danish football. Sweden will contest the quarter-finals of the 2018 Soccer World Cup after a win over Switzerland in the last 16 encounter. The Danish FA confirmed it has reported death threats made against striker Nicolai Jorgensen when receiving online abuse after a defeat to Croatia. Denmark had to substitute a "queasy" Andreas Christensen after he was hit in the face by the ball in the build-up to Croatia's goal. 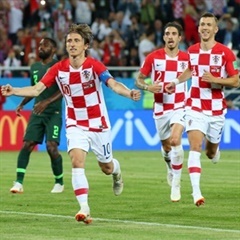 Goalkeeper Danijel Subasic was the hero as Croatia squeezed into the World Cup quarter-finals with a penalty shoot-out victory over Denmark. Recap all the action from the Soccer World Cup Round of 16 clash between Croatia and Denmark. Fans across the globe reacted with humour and anger at the "worst World Cup game ever" as Denmark and France played out the first goalless draw. France and Denmark played out to the first goalless draw at the World Cup in Russia, as both nations advanced to the last 16. Denmark coach Age Hareide said his critical remarks of World Cup hopefuls France were "taken out of context"
SWC contenders France are waiting for star striker Antoine Griezmann to hit his stride as they aim to secure top spot in Group C against Denmark. A VAR-awarded penalty gave Australia hope of qualifying for the knockout stages of the World Cup after holding Denmark to a draw. Coach Ricardo Gareca says Peru must recover quickly from losing their first game at the 2018 World Cup. Despite a courageous performance from Peru, it was Denmark striker Yussuf Poulsen's lone goal that divided the two nations at the final whistle.